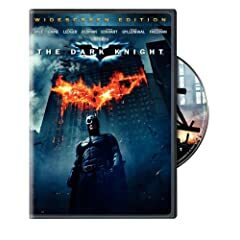 The Dark Knight finally hit Pay per View! It has been on my list of movies to see since it was released. This is another film by Christopher Nolan, producer of Batman Begins. It was as good, if not better than everybody said it was. It set a tone to the story that was more realistic and less “comic strip like” than previous Batman films. There is a lot of potential for another sequel film in the same style and cast of characters. Heath Ledger did a fantastic job as the Joker! Ledger’s unexpected death and the subsequent success of the Dark Knight have been mentioned as one of the top entertainment stories of 2008. He has recently been nominated for a Golden Globe award. A Reuters.com article even mentioned for a “rare posthumous Oscar recognition.” I would vote for him! What do you think? Of course there have been a ton of rumors about the Dark Knight sequel film and especially which villain will be in the film who will play the part. I initally made a Facebook profile to join the AIGA NH/VT group. Once I got a profile started I started to wonder what other groups were out there. I was glad to find a uvScene.com group had already been started, which I quickly joined. If you visit the uvScene.com and have a Facebook profile (or want to make one) please join the group. It would be cool to see the membership grow. A few people also told me about an Upper Valley (NH/VT) regional group, which I also joined. I am currently comparing WeRead and Visual Bookshelf. More people on my friends list use Visual Bookshelf than WeRead. Anyone have an opinion about which one is better? I just added Bumper Stickers and Causes to my application list but have not fully expored them yet. I also just discovered the Facebook Marketplace, which seems popular with everyone on my list. Anyone have suggestions for more applications? A few weekends ago I got the opportunity to spend some quality time using Adobe Illustrator to create new map graphics for work. We had a graphic that showed the towns in our territory but none of the surrounding towns. It also did not show where we were located in relation to the rest of VT and NH. My goal was to create a series of graphics with layers that would allow me the flexibility to customize the map depending on the project. The project gave me the chance to experiment with the live trace and live paint features in CS3. I was able to make a tracing from two seperate state map graphics and place them together in one file. Since the tracings are not perfect (but pretty damm close.) I got some practice with the pen tool. Mastering the pen tool is essential to mastering Illustrator. I eventually made a version of the VNA & Hospice territory map that showed only the towns in our “territory” and surrounding communities. This will be better suited for the limited space on a brochure panel. Overall it was a rewarding project which allowed me to get some much needed practice with Illustrator’s pen tool, the live trace and live paint tools.